Edouard Duval-Carrié is an internationally significant Miami-based, Haitian-born artist, who creates colorful, socially and politically-oriented narrative art that channels his knowledge and fascination with Haitian history, spiritual beliefs and folklore. For “Decolonizing Refinement: Kingdom of this World,” Carrie’s art is combined with historical artifacts related to Florida’s agricultural labor history, borrowed from south Florida regional historical collections. 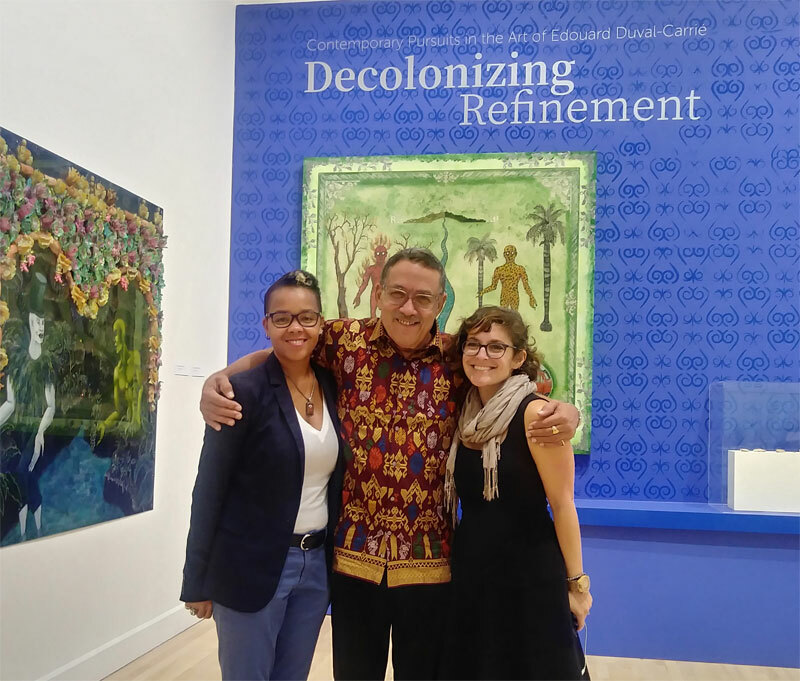 Different artifacts from “Decolonizing Refinement: Contemporary Pursuits in the Art of Edouard Duval-Carrié” will be on display at the FAU Schmidt Center Gallery and at the Spady Cultural Heritage Museum – as a two-part, sister exhibition.